To understand where Montgomery Motor Speedway (AL) has been and where it is heading, the events of two dates need to be looked at. The first was November 18th and the second is March 19th. November 18th was the day the facility went up for public auction. Potential buyers gathered together with different visions of what the 54-acres containing a half-mile oval and 1/8 drag strip could become. Some saw it as a potential real estate development - prime real estate on the outskirts of a growing Southern city. A few others in the crowd saw a modern short track that had even more potential to be turned into one of the premier racing facilities in the region. Based on the commitment and vision of the new management team, the best bet is that this weekend’s result will be a David Ortiz-style home run (Ortiz plays for the World Champion Boston Red Sox). Striking out does not appear to be an option. Hines was a good ft for the job of running the show. She previously worked for Manfull running his resort and marina in Tennessee. Before that, she was the Project Manager for Ted Turner’s Goodwill Games in Australia. Over there, she had plenty of lead time and a management team of 45 people. At Montgomery, she has had a little bit less to work with. That effort has not gone unnoticed by competitors. The headliner for opening day is a $5,000-to-win 125-lapper for the Super Late Models and the entry list is pretty stout. 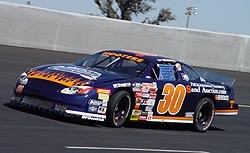 J.R. Norris is using this weekend's race as a tune-up for his 2005 season. nice place to race with a good purse and slate of long distance races seems to be a sound move. Getting those Super Late Model drivers in the pit gate is part of the overall business plan for Montgomery. Some of the expected drivers for this race include Charlie Bradberry, Josh Hamner, Jason Hogan, Eddie Mercer, Junior Niedecken, J.R. Norris and Ronnie Sanders. One of those guys also played a role when the track was up for sale. So Mercer is more than happy to return to the track as a driver and not the one running the show. 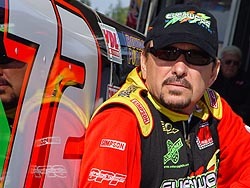 Eddie Mercer was interested in buying the track, now he's returning there as a driver. The enthusiasm is shared among competitors as well. 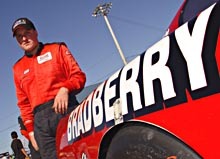 Getting big names, like Charlie Bradberry, to the track is a goal of management. A total of 12 Super Late Model races will be held at the track this year, including the Alabama 200 on November 19th – right between the Asphalt World Championships in Concord, North Carolina and the annual Snowball Derby in Florida. The safety resources that the track is providing is another major selling point. NASCAR trainer Randy Ballard has trained the track safety team and new equipment has been bought for this season. Fortunately for race teams and fans, a buyer emerged from that second group. USAR Pro Cup driver Bill Manfull and partner Michael Belle had the winning bid and took over the historic track. And there was no doubt as to their intentions. That fact leads us to the next date in the story, which is this coming Saturday, March 19th. That is the opening day at the facility. Opening up under new management is a tall enough task. Doing so after having the keys to the front gate for only 57 days makes it tougher. But to do it with a major Super Late Model event that promises to attract some of the biggest names in the Southeast means there is all kinds of pressure stepping up to the plate for the track operators. An even distribution of the purse is an example of how management wants to do this. This weekend pays $5,000 to win and $3,750 for second. The purse marginally drops off from there through the remainder of the field. As far as physical upgrades go, there have been a few. But Mercer can’t see where the track could have improved much on an already impressive physical plant. But when it is all said and done, it doesn’t really matter how nice the pit area is or how bright the lights are. What will keep fans coming back is good racing and the is expected for this event. Speed51.com will be on hand this weekend and will have a full breakdown of the short track battle on Monday. 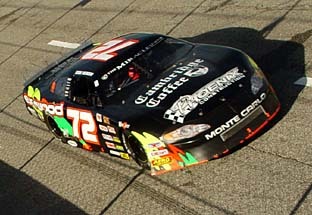 Super Late Models are thriving in the Deep South.